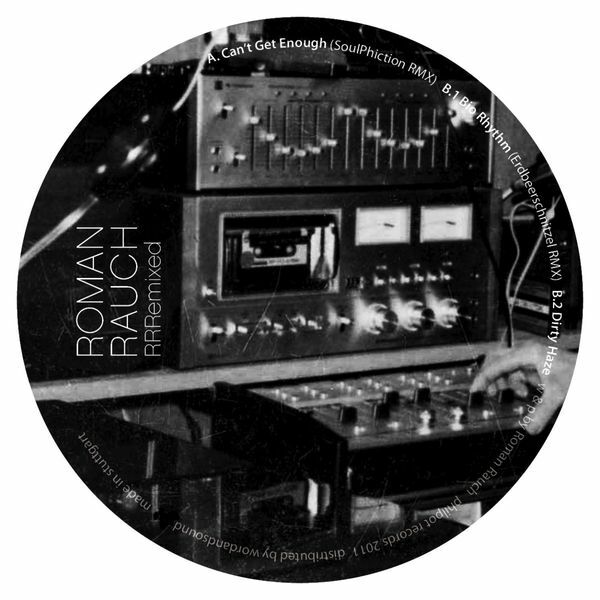 Joyous Disco-House from Austria's Roman Rauch. 'RRRemixed' features two revisions of tracks from the 'Can't Get Enough EP', with Soulphiction sounding like Dorian Concept-gone-disco on the titular remix, and Erdbeerschnitzl remixing 'Bio Rhythm' as a tightly tucked but loose flowing modern boogie cut. By contrast, Rauch's original production 'Dirty Haze' is more elegant, upbuilding House music.